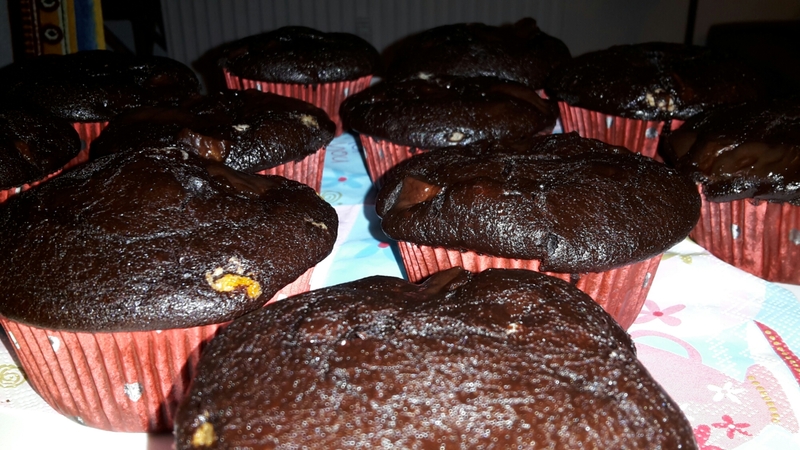 I tried a new muffin recipe today: cocoa and peach muffins. Unfortunately, I can’t say I’m too impressed with the outcome. They’re neither particularly sweet nor very fruity and they’re still undercooked although I almost doubled the baking time stated in the recipe. Harumph. Today’s “first” meant I had to get up at 4:15 am. It’s not often that I leave the house before sunrise (well, not in the summer, anyway). I felt excited, as if I was going on holiday, half expecting my dad to appear with a sugary donut from an old man’s stall, like he would in my childhood when we got off a ferry in Greece at four or five in the morning. As I drove past a group of twenty-somethings obviously on their way home from a night out, I thought how much I love this time when the last ones to go to bed and the first ones to be up cross ways. How strange, though, to be among the first ones up rather than stumbling home with a kebab in one hand and my shoes in the other. I guess this is another sign I’m becoming an adult. The parents of my best friend in primary school had a sandwich toaster. So whenever I stayed the night at her house, we would creep to the kitchen late at night and treat ourselves to a toasted ham and cheese sandwich. Please excuse me for some slightly pathetic “firsts” recently. We’ve been so busy meeting up with friends and stuff that I haven’t really had time for many exciting new things.